Riding a motorcycle is meant to be fun and exciting, not life-threatening. This was the case for our client, Harold, whose joyful motorcycle ride took an unexpected turn. At the end of the day, we were able to win Harold the compensation he deserved. Harold was riding his motorcycle in Arlington when he came to a red light. Naturally, he stopped. Everything seemed to be going smooth until the light turned green. As soon as the light turned, another driver made a right hand turn from the left lane. This is when everything went wrong. The driver impacted Harold’s motorcycle so strong that it knocked Harold off the bike. As you can imagine, motorcycle accidents can be dangerous. Harold was left with serious injuries, including multiple knee injuries and injuries in his left wrist and elbow. Additionally, Harold had to receive a meniscectomy surgery that made him wear crutches. This, of course, brought along heavy medical bills. After Harold received treatment, his medical bills exceeded $90,000. The monetary damages were only part of his damages. Due to the accident, Harold missed personal events such as playing with his children and enjoying his family, in addition to missing holidays such as Thanksgiving and Christmas. This is when Harold knew he needed an experienced personal injury attorney at his side. We fought the at-fault driver’s insurance company until they had no choice but to give Harold the compensation he deserved for his medical expenses, pain and suffering, and other expenses from the accident. Our attorneys and legal team were able to win Harold a $132,500 settlement offer. 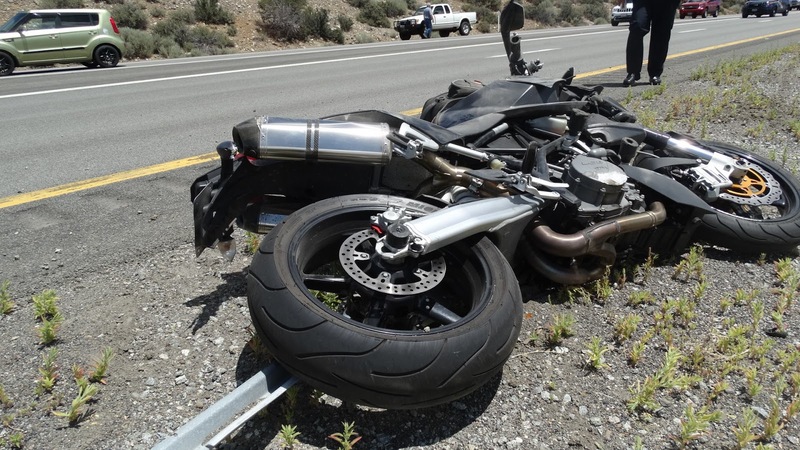 If you have been in a motorcycle accident and need our help, don’t wait any longer. Contact us today to schedule your free, no-obligation consultation with our attorneys.